As reported by Deadline, Niecy Nash has signed on to play one of the two leads in Fox’s single-camera comedy pilot The Enforcers. Nash will be M.J., an “outspoken and fun” mom who recently got divorced and is now taking a job with a local police department so she can provide for her kids. Unfortunately, instead of becoming a proper officer, she’s placed in the Code Enforcement Department and is tasked with taking down criminals responsible for things like noise violations and “water misuse.” The other of the two eponymous Enforcers will also be a single mom, but she’ll apparently be “wildly different” from Nash’s character (because that’s how TV works). 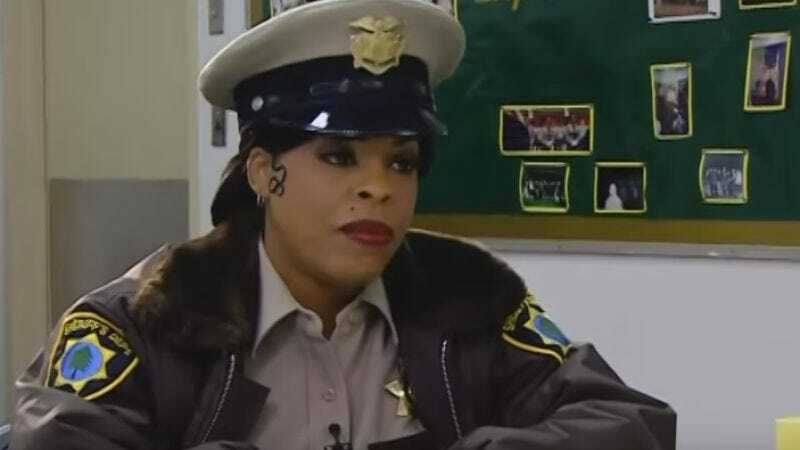 This will be Nash’s second time playing a funny cop, as she previously appeared as Deputy Raineesha Williams on all six seasons of Comedy Central’s Reno 911. Even though she won’t be facing any serious criminals on The Enforcers, she’ll still probably end up being a more effective cop than anybody was on Reno 911.